Your swamp is under attack! 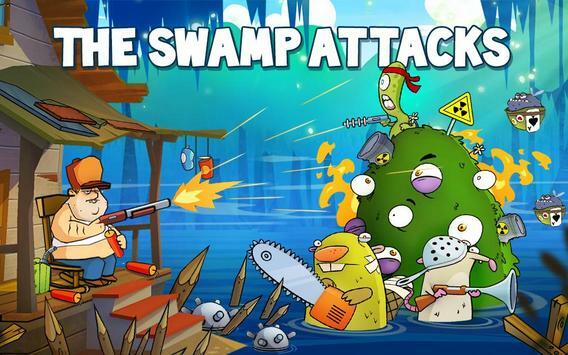 Grab a weapon and defend your home from the invading monsters, like crazed zombiestyle monsters, crocodiles, aliens and more! Come up with a strategy! Shoot weapons. Beat the monsters. Survive the attack and secure your home. 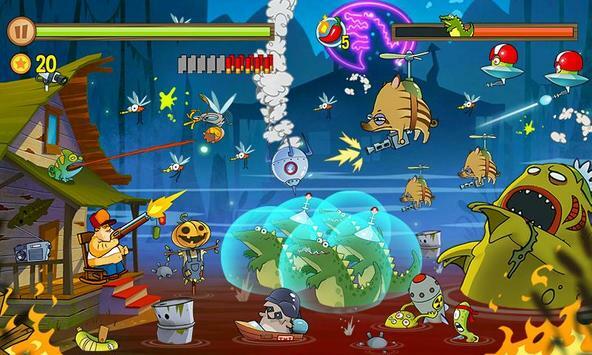 The evil monsters may know no mercy, but you can beat them all every single monster is a fun challenge! Weve got dynamite, flamethrowers, crossbows, blobthrowers, molotov cocktails, and more for you to use against the zombiestyle critters! So get ready to SHOOT! Prepare your ATTAC! And PROTECT your home as you play the best actionpacked shooter game around! ARE YOU READY TO COME UP WITH THE BEST STRATEGY TO BEAT THE MONSTERS? Shoot with different guns by TAPPING THE SCREEN. DRAG AND DROP the explosives onto the monsters. Dont miss a beat SWITCH between weapons during the action! UPGRADE and equip yourself with guns and bombs before starting a new level. Drink a potion to CONTINUE PLAYING if you get killed, or to instantly top up your energy. 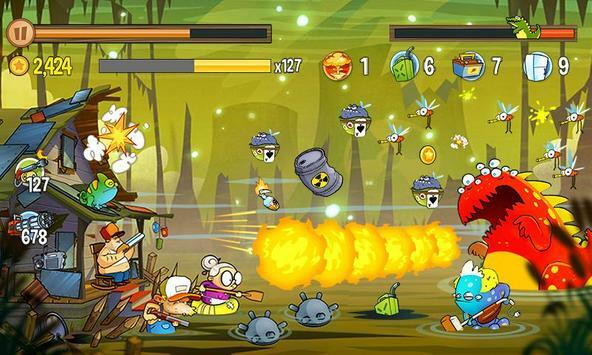 Play this actionpacked, super cool tower defense game and have fun for free! Try out the Challenge mode and test your limits! When you win, you can have even more fun attempting the even more challenging multiplayer mode! QUIC MISSIONS for instant excitement! Please review Swamp Attack Game and submit your comments below. We will collect all comments in an effort to determine whether the Swamp Attack app is reliable, perform as expected and deliver the promised features and functionalities.